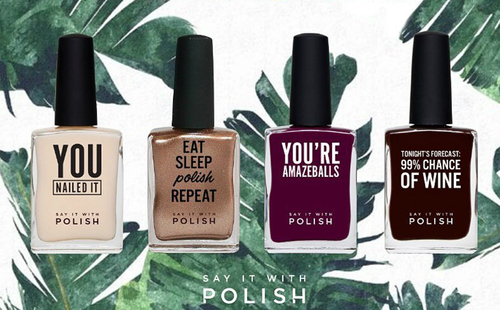 Proudly Australian made and owned and founded in 2015, Say It With Polish is manufactured in Australia using imported highest quality ingredients sourced from Europe. Today, the brand offers a wide choice of beautiful shades making it the perfect purchase or even gift for any polished woman and any occasion. The best part - the brand is a 100% cruelty free and vegan. It is also Paraben free and 5-free; meaning, it doesn't contain any of the nasties: toluene, DBP, formaldehyde, formaldehyde resin or camphor. Isn't that fantastic!